Samer Issawi continues on his hunger strike--which is in its 240th day--until he wins an absolute agreement that guarantees his release. International pressure has led the Israelis to release hunger striker Ayman Sharwarna, even though he will be deported to Gaza, an action that also violates Ayman's rights, according to the Palestinian Center for Human Rights: "Forcible deportation is a form of collective punishment prohibited under the fourth Geneva Convention which prohibits 'individual or mass forcible transfers, as well as deportations of protected persons from occupied territory to the territory of the Occupying Power or to that of any other country, occupied or not.'" Also, the Israelis continue to harass the Issawi family. An Israeli court has sentenced Medhat Issawi, Samer's brother, to 20 months for organizing solidarity events with prisoners in Jerusalem. Now more than ever, we need to keep the pressure on the U.S. government to demand the unconditional release of Samer Issawi. President Obama starts his trip to Palestine on Wednesday. Let him and the U.S. State Department know that we demand he tell the Israelis to release Samer Issawi and all Palestinian political prisoners. We again ask all activists, especially those in the U.S., to call President Obama and the State Department, Wednesday, March 20th, from 8 AM to 4 PM CDT, to take action. “My name is _____ from __________ and I demand that the U.S. administration demand that the Israelis release hunger striker Samer Issawi and all the Palestinian administrative detainees and political prisoners held by Israel." During President Obama's two-day trip to Palestine, it will be even more important to continue the worldwide campaign on Twitter at 1:00pm CDT on Weds. and Thurs. 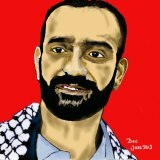 to demand the release of Samer Issawi. Check @samerissawi1 for the hashtag to use. For updates on the worldwide campaign, follow "The Free Samer Issawi Campaign" page on Facebook. Issawi had been detained by Israeli authorities without any charge whatsoever. He had been released from prison in October 2011 as a part of the Shalit prisoner swap, but was detained again without charge on July 7, 2012, and has been refusing food since August 2012 to protest his detention.